Travelling with our PA twins has really not been much of an option for us unless it's a 3-4 hour drive at most. They are easily car sick and long road trips just don’t work. Both boys are autistic and easily frightened, not to mention bothered by loud sounds, so we have been scared to attempt flying with them. Lately however, the twins had started watching airplane related videos and cartoons on YouTube and wanted to go on a plane. Cartoons don't really represent the sound of a plane engine very well and we were still apprehensive about attempting a flight with them, even though they were asking us to go every single day. I mentioned their desire to fly to their OT and she told us about Challenge Air (challengeair.com). 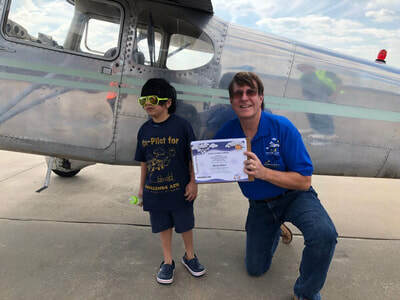 Challenge Air is entirely designed around giving children with special needs and or disabilities not only the chance to ride in a small plane, but to actually fly it! 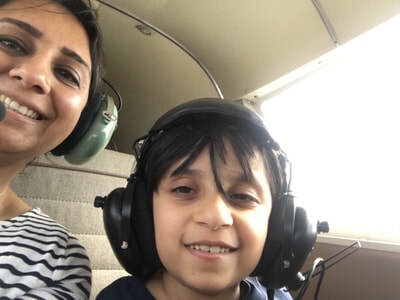 They have one fly day per month in different cities and apart from the flying, there are a bunch of activities for the kids like painting, crafts, clowns, as well as food and drinks. We went to a fly day in Dallas and the boys had such an amazing experience. One of my twins who hardly speaks, was actually singing the whole time he was on the plane. I really want to thank all those volunteers and pilots who so generously give their time to allow children with special needs and disabilities to have an experience of a lifetime. Thanks Challenge Air! I was always happy to be one of a crowd and not stand out. To flaunt the extraordinary wasn’t my thing. That I would care for rare, what were the odds. I have twins, as same as can be, and as different as they get. How odd, the odds seemed rarely in our favor. Rarer still is Propionic Acidemia - one in hundreds of thousands. I should say two in hundreds of thousands. How rare for a mother to see the things I have seen. How rare are children of special needs. What are the odds of a fraction multiplied? How could it be, what does it mean, and why do I have to be the odd one out? Being part of the odd group, the ones who don't follow the mainstream. Whose odds are lower than low. Yes, but it’s great to not be part of a majority. When the majority of kids like mine could not make it to age five. When the majority of these kids were unable to talk. When the majority of these kids were unable to walk. By the grace of God, how far we have come. That’s when I’m glad to not be a part of the common statistics. I am glad we are different, I am glad we are rare. The ordinary parent may not be able to relate to my gratitude for being rare. Each of my children is one in a million.